At the higth of summer, I occasionally see this stunning hoverfly, the easy to recognise Scaeva pyrastri. I am going to follow NatureSpot and others and use a common name, Pied Hoverfly, although swift hoverfly would be equally fitting to this migrant, quick flier. 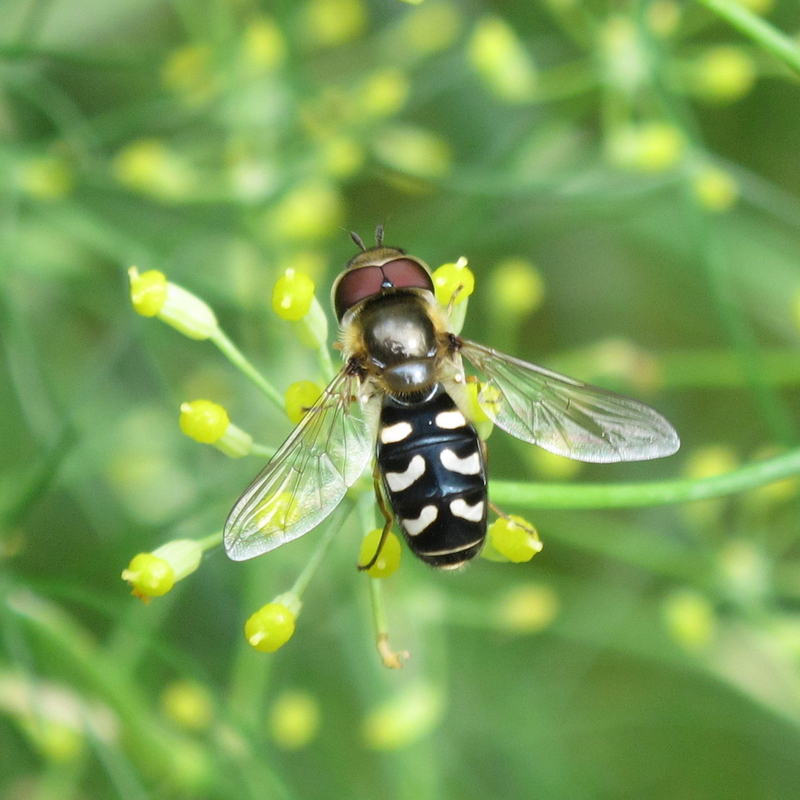 It is that time of the year when each flower in the garden is being visited by hoverflies, and the flowering fennel is attracting quite a few. I came back to S. Yorks last Tuesday, I hadn't even opened to door when one came flying by me. They are a delight. Flickr is suddenly full of them, but I've failed to get a decent shot of one. I agree NatureSpot is truly excellent.